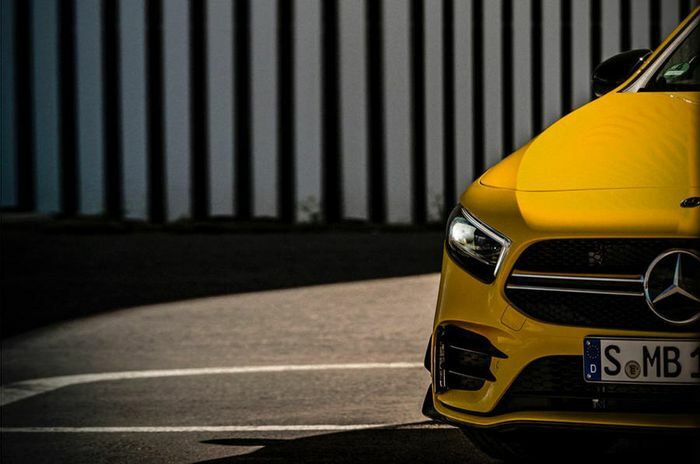 Mercedes-AMG has released a set of teaser photos for its new mid-level hot hatch, the A35. Powered by an extensive redevelopment of the same 2.0-litre turbocharged four-pot you’ll find within the regular A-Class, its mission is to take the fight directly to the Volkswagen Golf R.
You’d be forgiven for thinking that the likes of the A45 and Audi RS 3 were getting a little beyond the sweet spot for a hot hatch. Sitting below the A45 but above the A250, which some will say isn’t hot enough, the A35 is right on the money for a modern fast hatch. 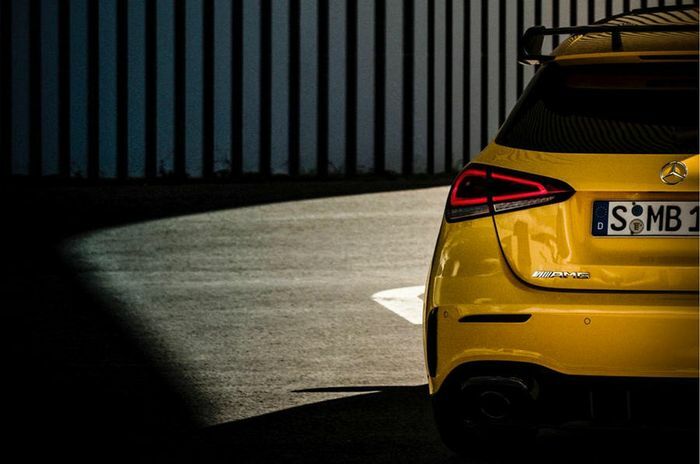 Because it retains four-wheel drive this happy middle-ground machine should slap down a 0-62mph sprint in around 4.5 seconds, leaving the A45 to drop below the four-second mark. There won’t be much to set the two true AMG cars apart at the kerbside, but the A35 will get a twin-exhaust arrangement versus the A45’s four. Adaptive damping that uses less extreme settings is one possibility for the A35’s bouncy bits, but a passive setup would be cheaper and help the car dip down to the £35,000-ish starting price point Mercedes is aiming at. 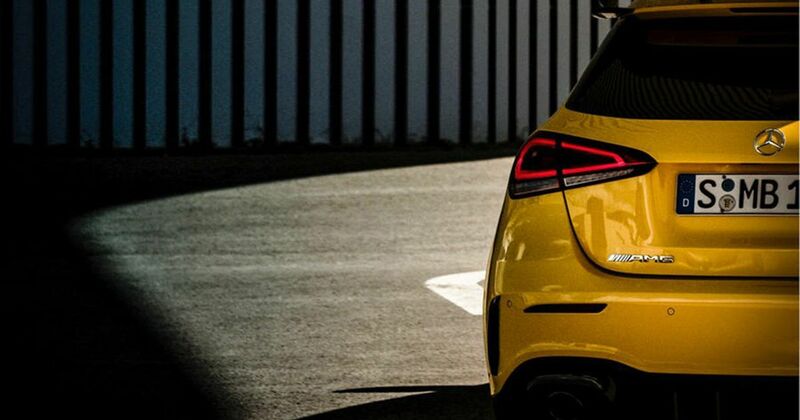 Power will beat the car’s main competitors, according to reports, which puts the target number north of 300bhp. The Golf R currently sits at 296bhp after it lost 10bhp in an emissions-related reshuffle. 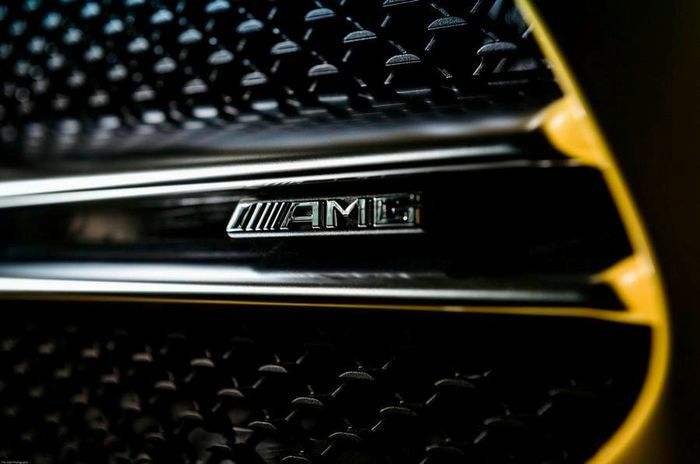 AMG wants the A35 to be faster to 62mph and 124mph than the Volkswagen Group rivals, too.